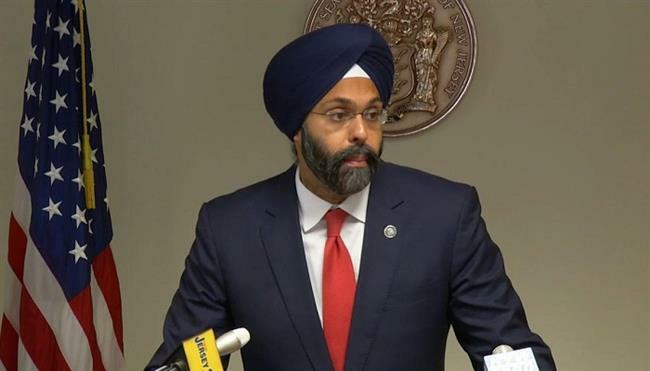 US, July 26,2018 - Two radio hosts in the US are facing severe backlash for referring to New Jersey’s Sikh-American Attorney General Gurbir Grewal as the “turban man” after some people expressed outrage over the “xenophobic and racist” comments. Dennis Malloy and Judi Franco, who host the “Dennis and Judi Show” on the radio show NJ 101.5FM, were talking about Grewal’s decision to suspend marjiuana prosecutions when they began calling him “turban man.” “You know the attorney general guy? I’m never going to know his name, I’m just gonna say the guy with the turban,” Malloy said. “Turban man!” Franco repeated in a sing-song tone. “If it offends you, then don’t wear the turban, man, and I’ll remember your name,” Malloy, said as both the hosts laughed. “But Turban Man — is that highly offensive?” “To me? No. To people who wear turbans, could be,” said Franco. “Could be. But if you called me Baseball Hat Man and I was in a culture where no one wears baseball hats, should I be offended?” Malloy said. “Uh, no. I would say no,” Franco replied. “So, anyway. The attorney general — Turban Man — says he’s not going to prosecute pot things until September,” Malloy said, laughing during the conversation. New Jersey Governor Phil Murphy, who had appointed Grewal, strongly condemned the language of the radio hosts, demanding action by the station. “Outraged by the abhorrent and xenophobic comments mocking @NewJerseyOAG on The @DennisandJudi Show on @nj1015. Hate speech has no place in NJ, and does not belong on our airwaves. Station management must hold the hosts accountable for these intolerant and racist comments,” Murphy tweeted. The radio station later tweeted that it is aware of the “offensive comments” made by Malloy and Franco during the broadcast. “We have taken immediate action and have taken them off the air until further notice. We are investigating the matter and will have further comment shortly,” it said in the tweet. Hoboken Mayor Ravi Bhalla, also a Sikh-American who wears the turban, tweeted, “Hey “Racist Man” @DennisandJudi : I’m a Jersey guy, born & raised, and so is NewJerseyOAG Grewal – this type of racist garbage has no place in Jersey. Get with the program! #RacistManDennis #jerseypride #educateyourself.” Bhalla also thanked Murphy for “standing up and speaking out” in support of Grewal. Grewal, who was previously Bergen County Prosecutor, became the nation’s first Sikh state attorney general after the state Senate approved his nomination this year. Grewal is born to Indian immigrant parents in Jersey City and was raised in the state’s Hudson and Bergen counties.